Falkner Place is a new residential property investment located in one of Liverpool's most affluent neighbourhoods. Occupying a prime location which has convenient transport links and is walking distance to the city centre, its main attractions and its universities, the development is well-positioned to appeal to Liverpool's thriving rental market. The development comprises 109 residential apartments consisting of 21 studios, 64x 1 beds, 12x 1 bed duplexes and 12x 2 bed duplexes. Investors will receive a 7% NET income per annum for 3 years on the 1 bed duplexes and 2 bed duplexes. Off plan apartments in Falkner Place at the Georgian Quarter are priced competitively when compared to the local market's current stock and new-build pipeline. The opportunity is designed for UK and overseas investors to allow for strong returns, whilst maintaining full control over capital. Investors are able to sell the property at any time after Exchange of Contracts to a buoyant property market. Designed to complement the surrounding area, the Georgian inspired development will be spread over 5 floors and will be finished to a high standard. To suit the needs to today's high end rental market, the building will be further enhanced with on-site facilities such as a concierge and a modern gym. 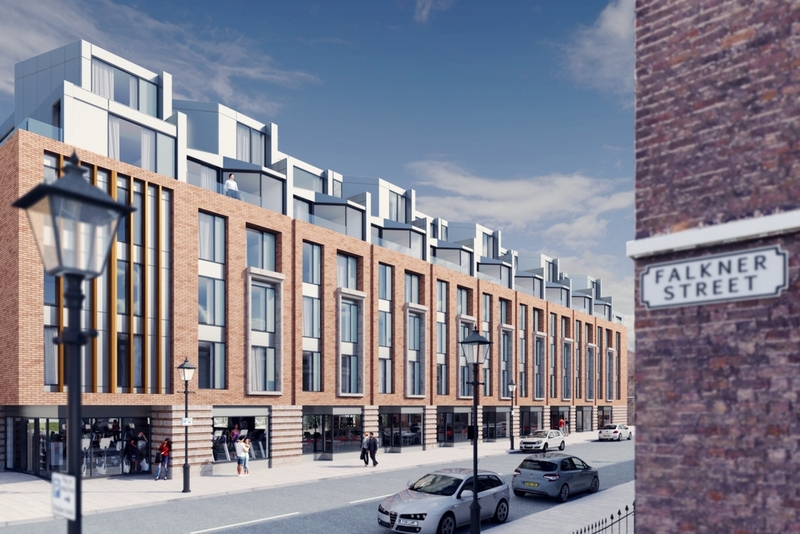 Apartments in Falkner Place will appeal to the city's young professional population and those who wish to live in one of Liverpool's most sought after neighbourhoods.